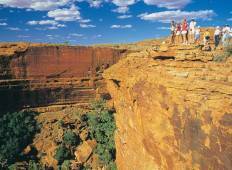 Find the best Intrepid Travel Australia/Oceania trips. 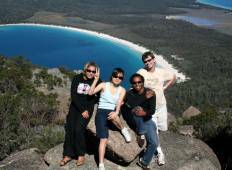 TourRadar offers 80 tours from Australia/Oceania through 5 countries. The tours span across 2 day to 22 day itinerary with prices ranging between $119 to $739 per day. "I was extremely happy with the Taste of Tasmania tour last week. Leith, our guide,..."
"A fantastic tour, both the activities and the other guests were unparalleled - brought..."
"Fantastic time taking in Uluru, Kings Canyon and the Olga's. Tents were not as bad..."
"Our trip from pick up to drop off was fantastic. Our guide Chantal was very knowledgeable,..."
"Anna was our tour guide in Western Australia for nullabor travels secrets of esperance..."